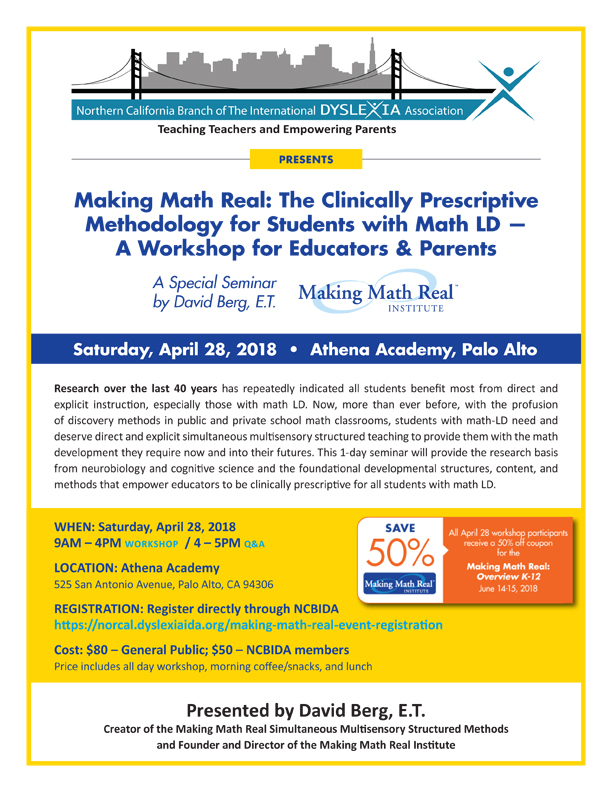 Research over the last 40 years has repeatedly indicated all students benefit most from direct and explicit instruction, especially those with math LD. Now, more than ever before, with the profusion of discovery methods in public and private school math classrooms, students with math-LD need and deserve direct and explicit simultaneous multisensory structured teaching to provide them with the math development they require now and into their futures. 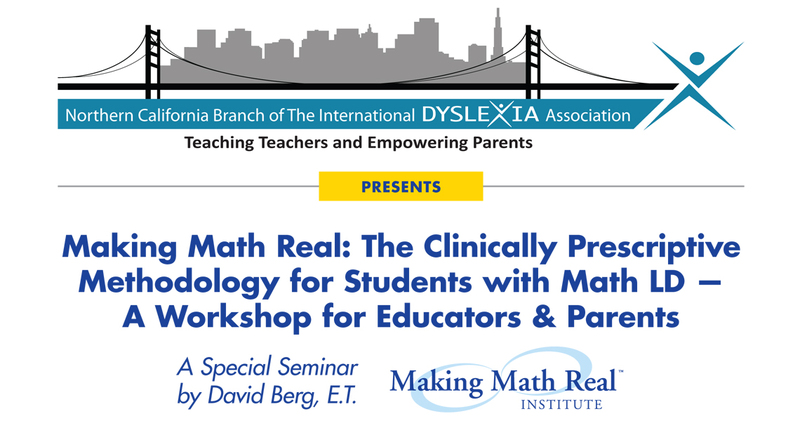 This 1-day seminar will provide the research basis from neurobiology and cognitive science and the foundational developmental structures, content, and methods that empower educators to be clinically prescriptive for all students with math LD. Presentation by David Berg, E.T. For more information, visit the NCBIDA event page.